Despite decreases in infants born premature and at low birth weight in the United States (U.S.), racial disparities between Black and White women continue. In response, the purpose of this analysis was to examine associations between both traditional and novel indicators of county-level structural racism and birth outcomes among Black and White women. We merged individual-level data from the California Birth Statistical Master Files 2009–2013 with county-level data from the United States (U.S.) Census American Community Survey. We used hierarchical linear modeling to examine Black-White differences among 531,170 primiparous women across 33 California counties. Traditional (e.g., dissimilarity index) and novel indicators (e.g., Black to White ratio in elected office) were associated with earlier gestational age and lower birth weight among Black and White women. A traditional indicator was more strongly associated with earlier gestational age for Black women than for White women. 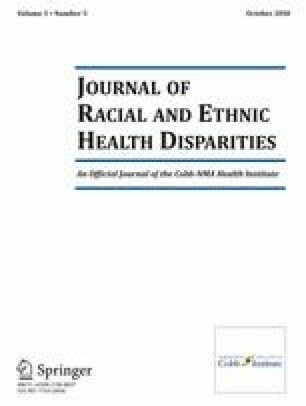 This was the first study to empirically demonstrate that structural racism, measured by both traditional and novel indicators, is associated with poor health and wellbeing of infants born to Black and White women. However, findings indicate traditional indicators of structural racism, rather than novel indicators, better explain racial disparities in birth outcomes. Results also suggest the need to develop more innovative approaches to: (1) measure structural racism at the county-level and (2) reform public policies to increase integration and access to resources. Infant Mortality | Maternal and Infant Health | Reproductive Health | CDC. https://www.cdc.gov/reproductivehealth/maternalinfanthealth/infantmortality.htm. Accessed August 3, 2017. Krieger N. Epidemiology and the people’s health: theory and context. Oxford University Press; 2011. https://books.google.com/books?hl=en&lr=&id=Z59ciXRRaPsC&oi=fnd&pg=PP2&dq=Epidemiology+and+the+people%27s+health:+theory+and+context.+&ots=KyQ3wgbgey&sig=Fs7IftamyNjcOGlrjxd7dAd30HI. Accessed March 5, 2017. West C. A Genealogy of Modern Racism. na; 2002. http://www.geraldbivens.com/rd/west-genealogy-of-modern-racism.pdf. Accessed March 8, 2017. Hipp JA. Spatial analysis and correlates of county-level diabetes prevalence, 2009–2010. Prev Chronic Dis. 2015;12 https://doi.org/10.5888/pcd12.140404. California State Association of Counties. County Structure & Powers. California State Association of Counties. http://www.counties.org/general-information/county-structure-0. Accessed March 6, 2017.